After 30 years of service, Leona Laugeness has worn many hats at Hospice of the Red River Valley. When Marjorie Wright of Gwinner, N.D., received a serious diagnosis, she immediately knew she wanted the best care available. Without hesitation, she requested hospice care and was delighted to stay, and be well cared for, right in her home. Charlotte continues to make deliberate plans in her retirement with the same forward-looking attitude that built her career. When David and Emily married, they launched an annual tradition of giving back in memory of their grandfathers, both of whom had been served by Hospice. Irvin and Cora shared 69 wonderful years of marriage, never leaving one another’s sides. With the help of Hospice, the Sundseths lived the final months of their lives how they wished—together. Sheri Felt’s brain cancer returned 20 years after her first battle with cancer. She approached her terminal diagnosis with strength, humor and appreciation for every minute she had with her children. For 17 years, Don Brantner was king of the open road. He loved what he did, and took pleasure in lending a hand to new friends he met along the way. Years later, Don is now the one in need of help. “Yeah, right.” That was Gaylene Smith’s initial reaction after hearing that the Jack and Jill Late Stage Cancer Foundation had selected her family as recipients of an all-expense paid vacation to the destination of their choice. Difficult Decisions. The Right Choices. 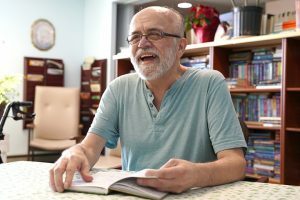 The most difficult decisions a family faces surround the health care of a loved one who is seriously ill, as was the case for Marlene and Boyd Christenson. Already a dedicated volunteer, Hal decided to take his support of Hospice one step further. A charitable gift annuity was the perfect option. 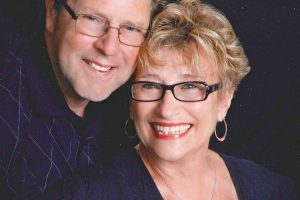 After Rocky lost his wife of 33 years, Debbie, to ovarian cancer in early 2009, he became determined to channel his grief into helping others – and to preserving Debbie’s name and legacy in their community. “Please take me home with you tonight.” These were Doris Radcliffe’s words to her husband, Bob, as he visited her in the hospital one evening. Ina’s personal story of grief and loss compels her to give a donation each year to ensure people have care and resources at the end of life. Pearl Uhlir honors her husband, LeRoy, by continuing his memorial donations through her work with the Zion Quilters. Nanda Gross experienced hospice care first hand when her father was on service and appreciates the opportunity to give back as an office volunteer. Patient care volunteer Judy Dragseth shares life lessons she’s learned throughout 30 years of volunteering. Learn about Sunny’s patient care volunteer experience and how she helped a patient find closure.